You are willing to put a hole in your pocket just to enjoy the fastest internet connection promised by your service provider. But it seems that you are not getting the value of your money because of slow connection. There are many factors that could affect your WIFI connection, but one of the things that you will definitely not want is wireless freeloaders. These are persons who will hitch on your network without permission and use your data for as long as they want. Type your IP address in the address bar above the web interface of your internet connection and press enter. If you are using MAC, you can find your IP address by opening the Apple Menu and then select “System Preferences”. You will see a Network icon, click this. You will find the word “Router”, and beside this word is your IP address. For PC users, press the “Windows” and “R” keys at the same time. A command window will pop up, type “ipconfig” and press “Enter”. Look for the phrase “Default Gateway” and beside this is your IP address. Once your wireless connection’s interface shows up, you need to access this by simply typing the admin username and password of your router. You can find this on your router’s sticker or you can call your internet service provider. Upon entering the correct username and password, choose wireless settings and click “Change Password”. Enter your new password then turn your router off, then on again. This time, you will be the only one who can log-in on your connection. Do you know how to kick someone off your WIFI by blocking unauthorized Mac address? Here are a few tips. Knowing your IP address is very important as you will need this to open your interface. Again, if you are using MAC, you can find your IP address by opening the Apple Menu then select “System Preferences”. You will see a Network icon, click this. You will find the word “Router”, and beside this word is your IP address. If you are using a PC, press the “Windows” and “R” keys at the same time. A command window will pop up, type “ipconfig” and press “Enter”. Look for the phrase “Default Gateway”, and beside this is your IP address. Type this on the address bar above and press enter. 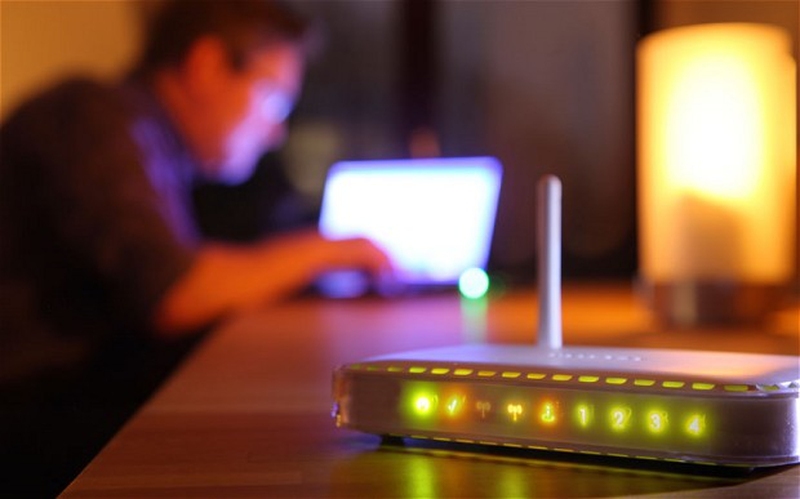 Once you have gained full access to your wireless connection’s interface, you can check for uninvited guests depending on the manufacturer and model of your router. Another tip is to check on your router’s LAN or DHCP settings, where you will find who else are connected on your WIFI including your own computer. Block unauthorized addresses on the "Security Settings" or "Firewall Settings". Calling your ISP is another way. Before making a phone call, gather all the information you will need, like your account information and router’s model. Then call and tell the customer service agent that someone’s been using your bandwidth without permission. The agent can connect on your router to remove unauthorized connections if your router came from them. If your instinct tells you that somebody knows your password, you can request the customer service agent to create a new one for you. You can also have your router settings updated. If you haven’t done this for a long time, then this might be the right time to do so. Ask the customer service agent to recommend the appropriate security settings for you and to update them as well. This is to prevent your wireless connection being used again by intruders. How to kick someone off your WIFI? Use the app, WIFIKill, developed by Bartosz Ponurkiewicz. Some other applications may be helpful but are time-consuming. WIFIKill allows you to easily and quickly stop a freeloader from using your precious bandwidth. You will need a Nexus 7 or an android 4.0 or higher and a WIFIKill downloader app in order to install this on your device. The good news is you can download the free version of the app, but the bad news is that you can only kick that someone off your WIFI for five minutes and there will be ads popping out with it. You can also opt to the regular version which will cost you a few dollars but allow you to block those unwanted hoppers for an unlimited time, plus giving you an ad-free screen. Once you have acquired the program, simply open it, and click “kill” beside the IP address of the intruder. This application is the same as WIFIKill. The only difference is that WIFIKill just requires you to have a phone but Netcut allows you to analyze, see and change the MAC addresses of those who are hopping on your internet. So how to kick someone off your WIFI with Netcut? Just disconnect him or her on PC through this application. It is compatible to Widows 7, 8 and 8.1. But before going on with the steps on how to use Netcut, be reminded that this should not be used on public internet connections. Simply download the program and install it on your PC. Just follow the prompts popping up on your web interface. Once you have successfully installed the app, restart your PC and click on the Netcut icon. Then you can see the list of all the devices connected to your WIFI and just simply click “cutoff” which is a button beside the device that you would like to disconnect. You will see the blue button turn red which means it has lost its connection. Just click the”resume” button if you want to reconnect the device on your WIFI.